Let’s say you process a variety of photos all the time, with varying amounts, importance, and urgency. So how should you set up Zoner Photo Studio X to make your work as efficient as possible? Before you get started configuring things, you’ll need to have the latest update for Zoner Photo Studio X. 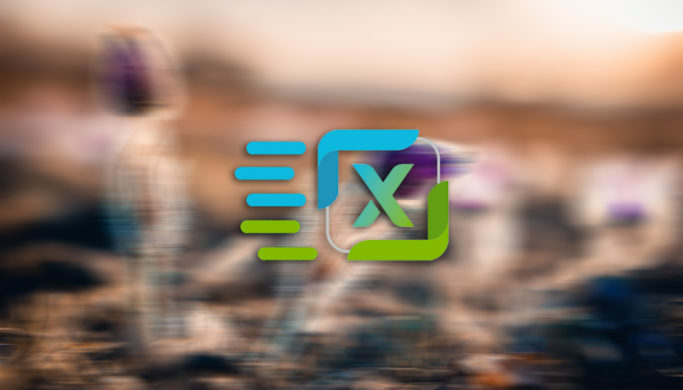 The first time you start up ZPS X after you update, the Catalog will start reindexing your photos. This reindexing is due to precisely the new features we’re discussing here—and to how the Catalog now works with photos in a slightly different way. There’s no need to worry; none of your photos will be erased or changed. If you need to work in ZPS X right away, you can postpone re-indexing at any time and then continue it later. For a refresher on what the Catalog is and how to work with it, see this article. But how do you set it up to make your work with it as fast as possible? It’s easy, actually. Add your photo folders to the Catalog, and set how it should work with them based on what they’re used for. Click the Catalog Settings icon to the right of the word “Catalog.” This shows a dialog listing the folders you’ve added. You have three options here. Perform Cataloging Only – Use this option for example for an archive of old photos that you won’t be working with much, but you’ll sometimes need to search in. This option only preloads photo information; it doesn’t preload fast previews. 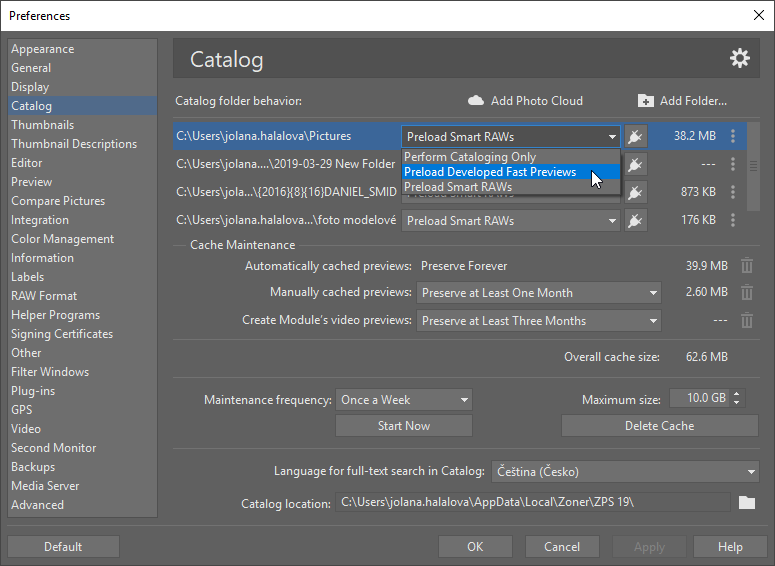 The default option, Preload Developed Fast Previews, is the best for ordinary work with photos, because the preloaded previews eliminate delays. 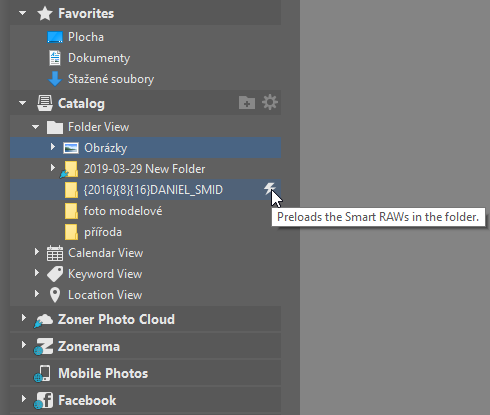 The last option, Preload Smart RAWs, is a good fit for folders where you need to work with RAW photos very quickly. You should expect, though, that the cataloging process here will take a while, and that the preloaded previews will take up quite a bit of disk space. On the other hand, editing itself for these files will be very swift. Use the settings here to control how individual folders behave. After you click Apply, the folders’ contents start to be preloaded into the Catalog. This can take a lot of your computer’s processing power, so if that’s inconvenient for you at the moment, delay the preloading and then turn it back on, say, overnight. If you don’t need to use your computer at the moment, choose Full Performance and loading will be significantly faster. But watch out, your computer won’t be able to do anything else while this is going on. In any case, you’ll have time now to go get some coffee. You can postpone preloading or speed it up with the Full Performance option. Smart RAW is a feature that makes your work in the Catalog easier. No more waiting until all your folders have loaded. You can start working right away if you want to. Just click the lightning icon, and you’ll save long minutes of waiting. If you know in advance that you need to work with a particular folder in full in the near future, click its lightning icon. That loads Smart RAWs for all the files in the folder, making your work with them significantly faster. To speed up your work with a folder, have Smart RAWs loaded in for it. Smart Previews are a new option that you’ll find in the Manager. Zoner Photo Studio X will preload the JPG files for RAWs to make it easier for you to organize your photos. If precise sharpness is important for you, but you still only want to check it for certain photos, turn on the Load Full Quality at 1:1 Zoom option. That means that you’re organizing your photos using Fast Previews, but when you need it, you can zoom in to 1:1 zoom, and a quality level where you can see all the details is loaded up. Use the “Use JPG for RAW Previews” option mainly when you’re shooting RAW+JPG pairs. If you have photos on an external disk and you want access to previews of them even when it’s not online, turn on the option to Preload previews for offline use for whichever folders are in question. Then you can browse those photos even when the disk is offline, and wait to connect it again until you need to edit them. You can browse cataloged folders on a disconnected disk. 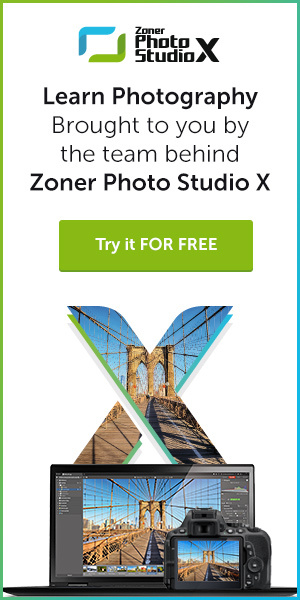 Download our latest version, Zoner Photo Studio X, try it 30 days for free, and speed up your work with photos today.